What could be better than a newly remodeled or brand new kitchen? How about one that is low maintenance and easy to clean? 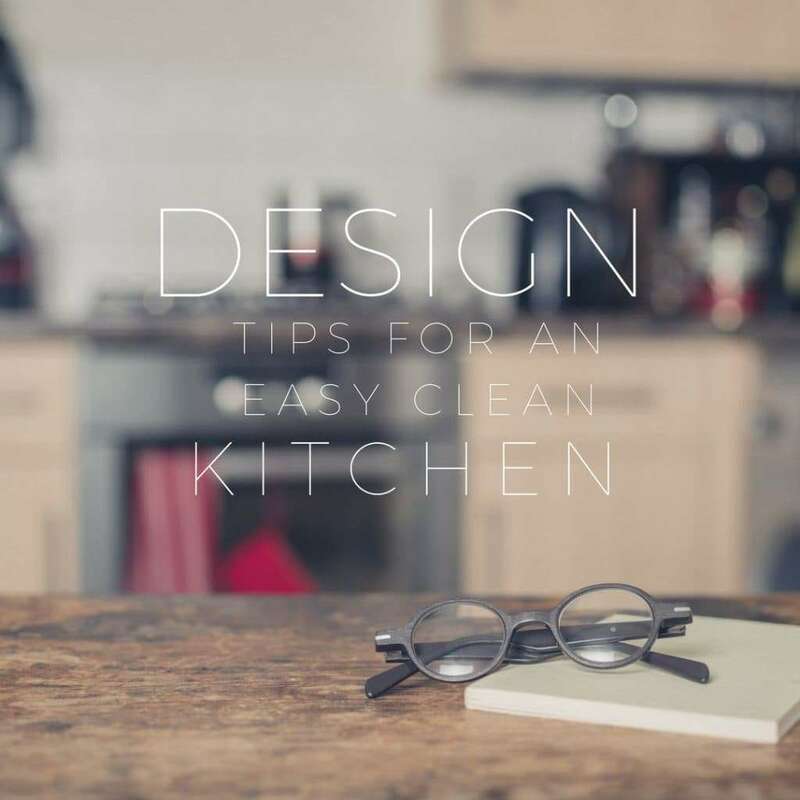 It may sound too good to be true, but there are some ways you can design a kitchen for easy cleanup. Below are a few design ideas to make cleaning your kitchen a little easier. The dirtiest place in the kitchen is the between the floor and the toe-kick or baseboard. One way to eliminate the large amount of dirt and debris that ends up in the seam between the floor and the bottom of the walls and cabinets is to install a rolled edge on the floor. This can be done with tiles, and vinyl flooring most easily. You can also have custom millwork done to create a curved edge on hardwoods if you have the budget. Tile flooring does require more cleaning and grout lines can harbor a large amount of dirt and grime when not kept up. If you love the look of tile consider larger tiles with smaller grout lines to reduce the amount of grout for debris to make a home in. While there are some gorgeous and elaborate cabinet doors out there, the more millwork and detail you have on cabinet doors, the more scrubbing and dusting you will need to do to keep them clean. A classic flat front cabinet with a low gloss finish is easy to wipe clean and does not easily show dirt. Hardware also helps to eliminate the appearance of dirt with fingerprints being on hardware instead of on cabinet fronts. The rim around a sink can collect a large amount of grime. Under mount sinks not only reposition that seem out of sight they make it easier to scrape crumbs from the counter right into the sink. If you have the budget you can eliminate this grimy hangout with an integral sink that is all one piece with the counter itself. Talk to any professional designer and they will tell you every dream kitchen has an efficient working triangle. This is the arrangement of the three major elements in the kitchen: cooktop/stove, sink, and fridge. A triangle that is well placed and closer together helps you to cook with ease and minimize mess. If you have a larger kitchen consider placing one of the pieces of the triangle in the center island. No matter what design you decide upon in your new or remodeled kitchen, regular professional cleanings will also help to make daily clean ups a snap. Have tile and stone counter tops professionally cleaned and sealed and it will extend the life of your surfaces as well as help to fight stains and dirt from settling in to grout. For more great cleaning tips and tricks please feel free to browse our website. For the best in professional tile care in the North Seattle and Snohomish county areas make an appointment with All Kleen.